BQA is a voluntary program for cattle producers. Cargill is committed to sourcing most of its beef from BQA-certified feedyards. In both the U.S. and Canada, beef processing facilities are pushing for more involvement in "sustainability" programs. While some Canadian producers enjoyed incentive payments for such programs, other producers worry that the programs will be a moving target that will become costly and impractical. In 2016, Cargill announced 90 percent of the beef it procures from U.S. producers would come from Beef Quality Assurance certified feedyards. This week, a Cargill representative confirmed that as of mid-October, the company has procured about 87 percent of its U.S. beef from BQA-certified sources this year, and is on track to meet the 90 percent goal by the end of the year. Cargill is perhaps further ahead with this effort in the north country. WHAT WAS THE PILOT PROJECT? In 2017, the company implemented the Canadian Beef Sustainability Acceleration pilot project, in conjunction with the Canadian Roundtable for Sustainable Beef. Some retailers including McDonalds made incentive payments for cattle that were owned their entire lives by Verified Beef Production Plus (similar to the U.S. Beef Quality Assurance program) certified producers. Canada's mandatory animal identification program helped the retailer know which animals fit the criteria, and the retailer was able to pay producers, stockers and feeders $10 to $20 per head for about 9,000 beef animals throughout the duration of the pilot project. The pilot project has ended and a Cargill representative said that the company has considered continuing it in some capacity. Cow-calf producer and feeder Bob Lowe of Nanton, Alberta, said he received some incentive payments throughout the duration of the project. The Canadian Beef Sustainability Acceleration pilot project was initially established as a one-year effort. Discussions are underway to potentially extend the pilot beyond one year based on the positive momentum that has been generated, said Emily Murray, Cargill general manager, McDonald's beef. 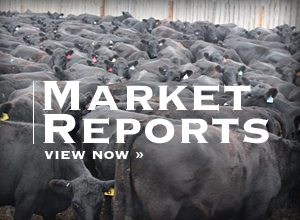 Lowe said though he didn't see any effect on last years' market from the incentive program, some producers are advertising their calves this year as VBP plus and some feedlots are looking for calves that are VBP plus. According to Murray, the beef was promoted using a logo developed by the Canadian Roundtable for Sustainable Beef, and the project itself was developed to meet CRSB standards. "The CBSA pilot has developed a supply chain that adheres to the Canadian Roundtable for Sustainable Beef's framework. The Canadian roundtable is an offspring of the Global Roundtable for Sustainable Beef. 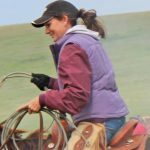 Each nation's roundtable operates within the global framework, but has latitude to shape regional/national programs to the specific type of production system, regulations, culture and other factors that may be unique to that area's beef supply chain," said Murray. Murray said there are no immediate plans of implementing a similar project in the U.S., but that the company is "open to opportunities that align with our goals of increasing consumer confidence and driving system value." Canadian producers who wish to be involved in the voluntary VBP plus program pay for the audit in order to become certified, said the Vice President of the Canadian Cattlemen's Association. The program calls for a number of production and business protocols including responsible drug use, fair treatment of employees, responsible environmental considerations and more, Lowe said. An auditor travels to the operation to verify compliance with the requirements. Follow-up checks are required every five years, and spot checks can occur any time. Lowe said recordkeeping is a big part of the program. "Most people are doing what needs to be done, but some just aren't keeping records," he said. Go to verifiedbeefproductionplus.ca to learn more. COULD THERE BE A DOWNSIDE? Iain Aitken, a Manitoba cattle producer, said McDonald's commitment to "sustainable" beef is vague. "At this point they say 50 percent of their product is certified sustainable, but they're happily going to call it all 'sustainable beef' while only a part of it is, at least according to their standards." Several news stories from July of 2018 report McDonald's Canada sources all of its beef from Canada, and that in the next year, 30 percent of its beef would be from farms and ranches certified by the Canadian Roundtable for Sustainable Beef. Aitken said the protocols required for VBP plus certification are pretty low. "There is "nothing wrong with the program," said Aitken. "I'm not against beef being produced to a higher standard — that's a good idea. But there are three levels of achievement — acceptable, good and excellent. You only have to get into the 'acceptable' category to qualify," he said. "I don't like that. The standard isn't very high. 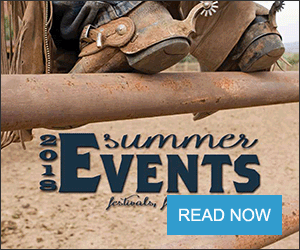 There are already people producing cattle to a much higher standard and not getting a premium." Aitken said the premium paid was not big enough to entice him to get involved. He raises cattle for a direct-to-consumer company. "I know what the margins are from the calf leaving the pasture until it becomes beef on the plate. There is a lot of money that goes missing between the farm and the restaurant table. 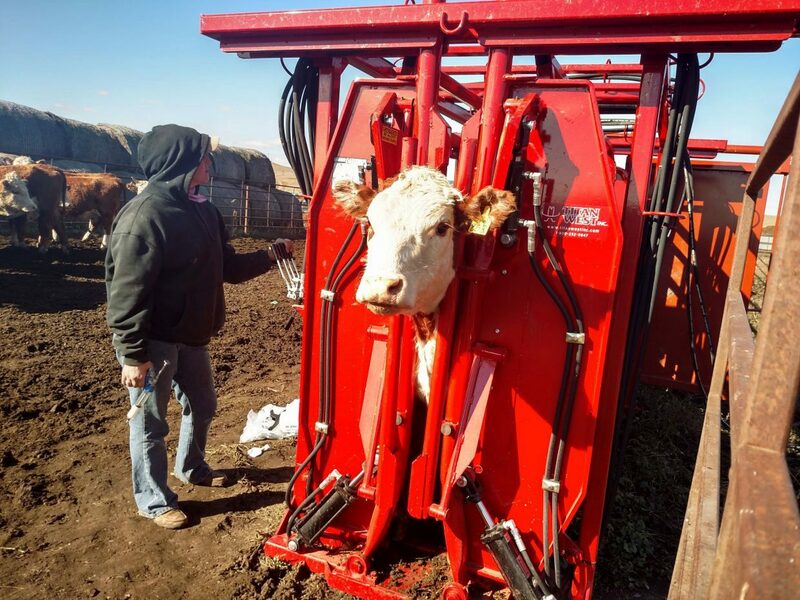 The idea that you'd go through this for $20 per animal is a joke. If they are serious and they want to represent this product as sustainable, maybe they ought to pay $120 per animal. They can well afford to do so." Some Canadian producers are concerned about the role that the Canadian Roundtable for Sustainable Beef will play in the future of the cattle industry, said Lowe, who has been involved "since the beginning" and who believes that it is producer controlled. "There has been pushback from the beginning. But it seems to me that it's being more accepted all the time." Some American producers are concerned about the CRSB's sister organization, the U.S. Roundtable for Sustainable Beef, and potential standards that group could impose on the industry. Glenn Chitwood, a Hereford seedstock producer from northeastern Texas said that he attended a feed meeting recently where a Cargill representative spent more than half an hour promoting the USRSB. "I was aware that Cargill was involved in the USRSB," he said. But he didn't expect the USRSB to be the focus of the meeting. "He gave an hour spiel and 35-40 minutes of it was on the USRSB. He said 'you'll be ahead of the game if you get involved in this.'" Chitwood said that the Cargill spokesman said that producers who aren't working toward sustainability as defined by the USRSB don't really have a future in the industry. "Get on this or get run over. That's basically what he said," said Chitwood, who worries that the USRSB will set protocols for producers to follow, and that those who don't comply will be penalized. "It doesn't take a rocket scientist to see that's where this is going. When they get mandatory identification, they'll say 'you are on the naughty list' or 'you are on the nice list. If you don't play by the rules, you won't have a market for your cattle.'" Chitwood said producers could easily be blackballed for voicing opinions on social media that don't agree with those of the processors or retailers, for example. Chitwood hopes more producers become educated about the USRSB, which he believes is an effort to enforce mandatory animal identification in the U.S., and encourage consolidation of the industry. "They look at it and think 'I could make 5 more cents if I do this,' but they don't realize it's leading to consolidation." Producers who survive in today's economic environment are sustainable, he said. "My personal opinion is that sustainability means profitability. If you can do it and make money, you do it. No farmers or ranchers are endangering their livestock or overgrazing. That's our future asset. We take good care of it. We aren't out to abuse our future income strain." 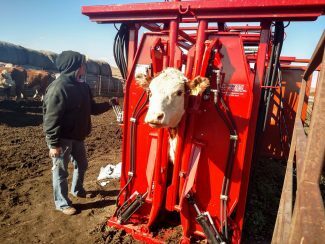 "In regards to BQA standards, as a producer, I am certainly not opposed to using the highest standard of care in all husbandry areas as long as they make fiscal sense but requiring a certain protocol to be observed across all producers in varying geographic regions and with varying herd sizes is a slippery slope," Chitwood said. "Certain vaccination or feeding protocols that are logical in one area of the country are not necessarily best in all areas of the country. I think in the beginning it will be 'sold' as a premium program and in a few short years we will look back and the producer will be bearing all the costs to obtain a minimum bid. In effect it will be 'pay to play.'" Lowe said he hopes involvement in VBP plus never becomes mandatory because it would kill the opportunity for incentives, and makes the program less credible. "That's the whole point of this — is to get the bulk of producers on board with this in a voluntary basis so that it doesn't become mandatory," he said.